Rental luxury market in India is slowly gaining momentum. Lawyer-turned-actor Satyadeep Misra, who started his film career with No One Killed Jessica, was bitten by the motorcycle bug soon after he learnt to ride one for playing the role of Chimman Chopra in Bombay Velvet. The movie bombed, but Misra found a new passion. Two years later, he wanted to bike across Himachal Pradesh, but lugging his two-wheeler all the way up from Mumbai was cumbersome. That was when his schoolmate Siddhartha Lal, Chief Executive of Royal Enfield parent Eicher Motors, suggested he should get in touch with EagleRider, a high-end bike rental company. 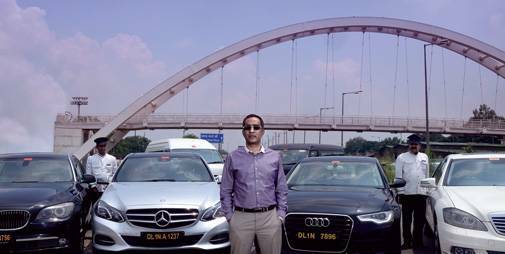 The road trip was excellent, and Misra went back to the company when he planned a second trip. "We rode for 11 days in Himachal. You end up paying more, but it is stress-free," he says. Renting a motorcycle from EagleRider in India costs `1,950-2,200 a day, depending on the kind of bike one rides. EagleRider, a US-based luxury motorcycle rental and tour company, was set up in 1992 by Jeffrey Brown, Chris McIntyre and Peter Wurmer. The company, which operates in 100-plus locations globally, finally forayed into India last year with Big Motorcycle Company as its franchise. "It took us nearly a year of convincing to get the franchise business," says Samar Sodhi, founder of Big Motorcycle, which rents out Harley-Davidsons, Triumphs and Royal Enfields, and organises tours for those who want to go on long rides. Luxury rental business has gained momentum in India over the past two-three years, driven by higher disposable incomes and an aspirational population looking for upper-crust lifestyle. What's more, they do not just want the products but also a memorable experience. When they rent a car, they want it to be chauffeur-driven. If it is a villa, it must be fitted out like a five-star hotel. Several start-ups are now tapping into the growing demand, renting out cars, bikes, apparels, accessories, jewellery, gadgets and much more. Luxury vehicles are the most popular segment, and car rental companies have started doing some brisk business. Take, for instance, Eco-rent-a-car. Set up in 1996, it has provided luxury cars to corporate houses and five-star hotels for a long time. But over the past few years, there is a rise in demand from individuals who either want to make an impact by travelling in chauffeur-driven supercars or want to experience the thrill of self-driving a BMW or an Audi. The company has a luxury fleet of about 350; rent starts from `6,000 and goes up to `15,000. "There is an aspirational element here. Someone may not be able to own that car, but he/she can rent it," says Greg Moran, Chief Executive and Co-founder of self-drive rental company Zoomcar. The company has a luxury fleet of 100 cars, which Moran claims, are fully subscribed most of the times. Revv, Drivezy (formerly JustRide), MiCar, Carzonrent, Selfdrive.in, Voler and RentoMojo are key players in this space. After cars and bikes, designer apparel and accessories is the most-sought-after category. Inspired by the success of US-based Rent the Runway, quite a few start-ups, including Flyrobe, Wrapd, Swishlist, The Clothing Rental, LibeRent and Rent a Closet among others, are offering similar services. 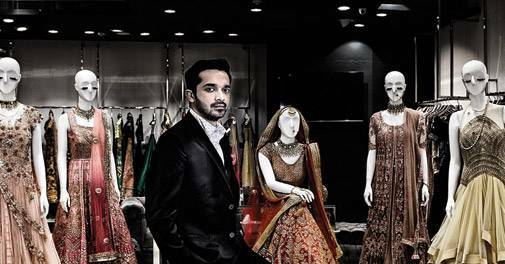 Akshay Taneja, Founder of Rent a Closet, says there is a vacuum in the market as most women covet designer wear but cannot afford them. A mid-segment buyer may not shell out `80,000 to buy a designer lehenga, but she will be willing to spend `5,000 to wear a Varun Bahl or Ritu Kumar creation, he adds. Again, one can book a luxury home through Airbnb, but there are start-ups like The Weekend Plan offering a unique expereince when they rent out luxury villas. Its most popular property SkyHigh, located in Goa, costs Rs 90,000 for three nights. According to start-up analytics firm Tracxn, the segment is growing. As many as 250 online rental companies have come up over the past few years and raised $126 million in funding. Not all of them are pure-play luxury rentals, but many deal in higher-end brands, especially in auto and apparel segments. A total of 29 luxury rental start-ups raised $2.9 million. The business is still niche, but too many start-ups seem to be joining the bandwagon too soon. In 2015, 21 luxury rental start-ups were launched in India, followed by 12 in 2016. While some have shut shop, others are still exploring revenue models. And those who offer rental services across price segments are getting only 5-10 per cent of business from the luxury channels. There are other concerns. Most of these companies have the products insured and take hefty security deposits, fearing damage. EagleRider's Sodhi is wary of renting out to people from small towns, especially those in Uttar Pradesh. "People there rent itfrom us, and by the time you realise [something is wrong], the bike is dismantled and sold off," he says. Sreedhar Prasad, Partner at management consulting KPMG India, says people take care of clothes, but accessories are risky as companies cannot afford wear and tear. Most experts also feel that the market is yet to mature and it will take these companies another five years or so to find a firm footing.